Hey there! Do you want to learn how you can easily create your own blog and promote affiliate products without spending on domain name or web hosting? If the answer is yes, then please read on. But before that, I must stress again that in order to truly own your OWN internet business, it is best to have your own domain name and web hosting so that you are not restricted by the providers and have more control over your website. …All in just 10 simple steps! First, go to WordPress.com to sign up for a free account. Just follow the instruction to complete the initial set up. If you are looking to share about relationship advices, you can put something like relationship tips or how to prevent break up. The name of the blog is the title of your blog and you can edit it later. Now, you’ll have to decide on the blog URL at this time. Since you do not own a domain name, you will have to make the best out of the available free URL. Use your topic keywords and try a few combinations and then choose a suitable address. The key here is change your keywords in order to generate a suitable free address for you to use. As our aim is to completely set up the website for free, choose the free plan on the left and then proceed. Before you do that, you may want to check your email for the email verification and remember to verify your account. Next, just follow the checklist to customise your blog. If you want to have a header logo on your blog, you can create using Canva. Check out my earlier blog post where I guide you on using Canva for free! The blog should already have a default blog post. You can edit either the existing post or add a new one. In my example, I decided to add a new welcome post. The welcome post can describe about yourself and the objective of your blog. In your blog post, you can add in images, videos and links too. You can change the look and feel of the website by switching the theme. The theme affects the appearance of the blog. Click on theme and then choose a free theme and start to customise it. The theme also influence the layout of your website. Whether the website have 1 side bar, 2 side bars and so forth. You can make use of Widget to add in your banner ads. Depending on your source of the ads, you can use IMAGE or CUSTOM HTML Widget to help you to do the job. Next, you can create more pages such as the ABOUT page or RESOURCES page. You can also update the CONTACT page. 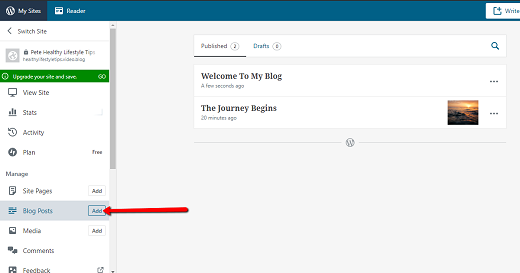 After that, create the menu so that you can have the navigation menu in your blog. Lastly, you are ready to launch the site. Remember to add in more blog posts and also the affiliate banners using the Widget in the theme option. You can also recommend the products in your blog post in order to maximise your website’s earning potential. Explore the dashboard and slowly grow your blog and promote it using social media for free. That’s it! 10 steps to build your first internet business with no money down. PS: If you want to check if there is any visitors to the blog, you can check the STATS in your WordPress Dashboard. Scour the net on Facebook and forums for a few hours, and read about what other people think about having a business on the internet. You won’t need to do much digging, and you would find that many people have the deadly misconception that having a business on the internet is a get-rich-quick scheme. The internet business is a real business. And in a real business, you need to put in real time, real effort, and real thought into making it a success. If you just wish to put in money, without any effort, and expect to gain profit, then this is not internet business. There are many scams or high-yield investment programs that make use of the internet, but these are not REAL internet businesses. Trading stocks or options using the internet requires you to have trading knowledge and skills. These are investment vehicles and they are also not internet businesses. A business means that there will be an exchange of value between the customer and business owner. While an internet business generally operates mainly from the internet and you are not able to see the business “physically”, it is a real and profitable business as long as you are willing to build and grow the business. Starting an internet business is actually simple. The whole process is not complicated as long as you have a proper system to follow. Here’s the good news for you! I’ve been marketing on the internet for more than 20 years and have in these 2 decades been actively transferring my knowledge and skills to thousands of students from all over the world. Let me, the internet business expert, show you the correct and proper way of starting an internet business. In this guide, I’m going to reveal the necessary steps required to build a successful internet business. All you’ll need to do is to follow the steps I outline, take action, and you would start to see results. In order to have a sustainable and profitable business, you’ll need to have customers. After all, a business is about fulfilling customer’s needs. Without customers, there is no business. What are the problems they face that are keeping them up at night? Understanding their needs, wants and desires is crucial for your business. Which area of the market are you targeting? With so many questions, how do you actually start? In order to find the perfect customer, you’ll need to decide the market or the niche to be in. If you have no idea what is a niche or how to decide a niche, check out this post which I have written earlier. Then, you should start to do your research and learn more about your market and customers. Find out the characteristics of your perfect customer. 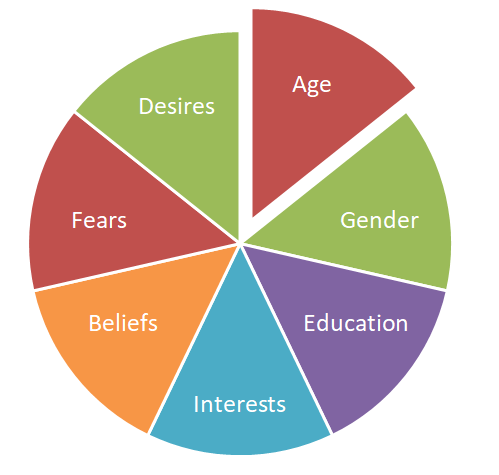 What is the demographic of your potential customer? 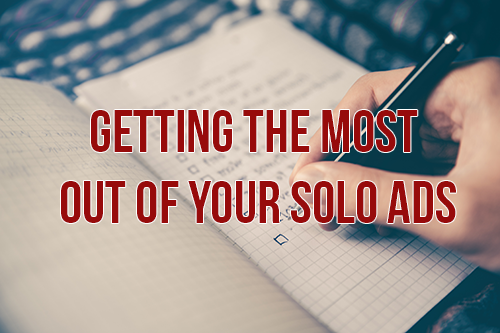 You may be asking yourself… Do you really have to be so specific when you are just starting out? This information will be key to the other steps in this system, which I will reveal later. Know your potential customer “inside-out” and try your best to “befriend” your potential customer. You want to know them as well as the most intimate friend you have. This will make up your customer avatar. And this avatar will form your prefect customer profile. Once you understand your avatar and especially the problem that she is facing, you can then move on to the next step. Since you already have the ideal customer, the next thing you have to do is to find the solution to solve the customer’s problem. Why do you need to find a solution? The internet business that I’ve been guiding you here is a solution-based business. Essentially, we will be paid to solve other people’s problems. Think about it, now that you already have the “customer”, what are you going to “offer” to them in return for monetary benefits? Remember earlier, we were discussing about what is a business? 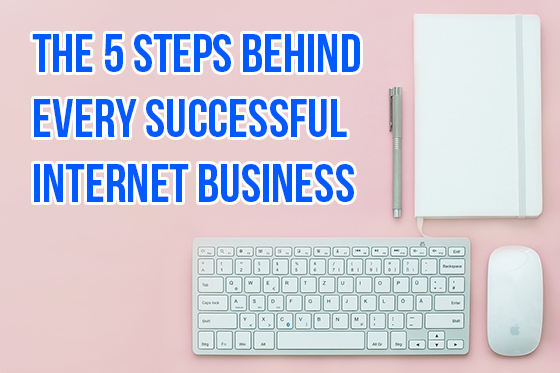 Since, you are working to build an internet business, naturally you’ll need to be offering something of value in return for monetary benefits. Decide how you can help the customer and offer a solution. This solution can come in different forms, be it whether you are offering a digital product or a physical widget. Of course, since you already know your customer’s problem from the first step, you should already know what your customer pain points or urgent problems are. So, this step is about looking for solution to a specific problem that they are eager to resolve. Focus on solving ONE specific problem first. Let’s take an example of a female customer, whose name Mary, is single, and in her early thirties. Over the years, Mary has tried many weight-loss supplements but hasn’t been able to reduce her belly fat. She isn’t fat, and all she wants us to be able to take beautiful photos of herself in dresses. If you look at the proposed solutions above, some of them may already be available in the market. If you already have the products that can help Mary, great! If not, don’t worry. You do not need to own the products yourself. Building an internet business does not require you to own the product or service that is going to help others. The affiliate marketing business model allows you to promote other people’s products without you fulfilling the order or having to handle the customer support. 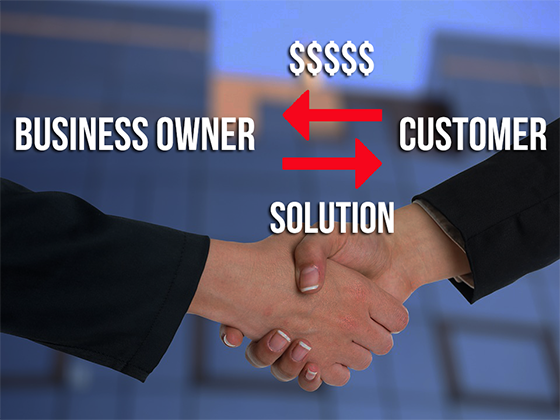 You can use this business model if you already have the product or service that can help solve the customer’s problem. Ecommerce, in simple terms, refers to selling physical products online. You can either source for the products and then sell them on your website, or engage dropshipping vendors and promote their products. In the case of dropshipping, you do not own the product but may need to fulfil the product delivery. Essentially, your task is to find a suitable product to offer to your customer. It does not need to be a brand-new product or service. The product or service can already exist. Decide on one of the business models, then we can proceed to the next step. Once you found a potential solution for your customer, the next step is to showcase it. Think of showcasing as the process of setting up a shop where you can sell your product or service. But in the online world, instead of a shop, it will be a website. Of course, you do not need all the above kinds of websites to run your own internet business. However, you do need ONE to begin with. Depending on your offer, it will then determine the type of website you use. Obviously if you have a physical product for sale, then the best way is to use the ecommerce type of website. But that does not mean that you cannot use a blog to showcase your product. You can also market your product via a blog. For example, you can do a blog post to review the product. If the product is your own, then it more likely that you will use an online business catalogue site. If you are providing photography services or editing service, then a photo sharing site may be a good place for you to start off. Let’s use the earlier example of Mary. You’ve found a weight loss recipe that is highly effective in reducing belly fats. Hence, you can also share the photos of these delicious dishes from the recipe on photo sharing sites to promote your belly fats loss recipe! 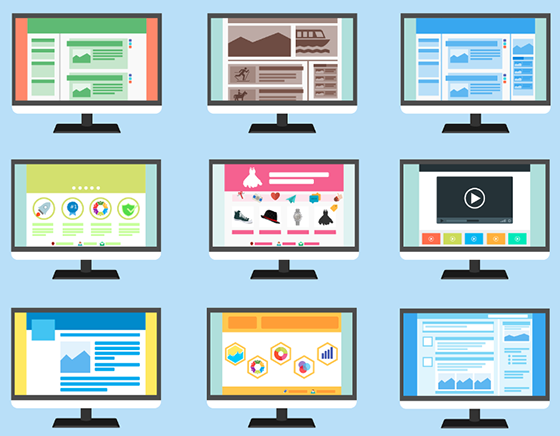 Ultimately, you’ll need to decide on one type of website to begin with. Alternatively, I highly encourage you to join my training to understand more about the common websites used for starting an internet business to sell any kind of products. Once, you’ve decided the type of website to showcase the product, let’s move on to the next step. Your “shop” is now ready for customers to visit. Now, don’t expect the customer to just come to your website automatically. You now have to be should be more active in the managing your internet business and marketing your website. Marketing your website refers to getting visitors to your websites. These visitors are your potential customers. Therefore, you shouldn’t be attracting anyone and everyone to your website. You should aim to bring in only qualified visitors. When doing this, do keep in mind the “perfect customer profile” you highlighted in step one. Since you already understand them, it is time to help them solve their problem by introducing the solution to them via your website. There are generally 2 main ways to bring them to your website. You can either “pay” them to come to your website or spend “time” to get them come to your website. What I meant is that: There is a free way, and there is a paid way for marketing your website. The truth is, paid advertising will always provide you with the fastest results. When you pay to get traffic, you can directly get metrics to the number of visitors you get and the conversion rates you obtain, giving you valuable information that allows you to tweak and improve your business. For free marketing methods, you will need time to work on them. Of course, with today’s technology, there are many tools that can help you to do this. But eventually, it is best that you also invest in your marketing efforts. Please note that marketing activities are the only activities that will bring in revenue for you as you are bringing in potential customers. Imagine your internet business being a machine with bots and nuts… It is working well but you know there are things you can do to improve the efficiency and output. To do that, you may need to tighten the nuts, replace the bots and oil the machine whenever necessary. 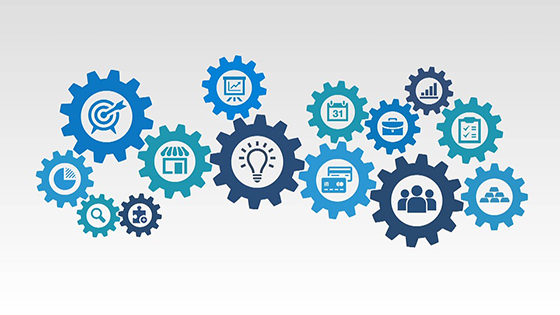 Your marketing efforts are like the fuel for your machine to produce output… And depending on the quality of the fuel, the output will be affected. In this case, your output is the sales revenue generated. Since you have started marketing your website, you will need to track which traffic method works best for you and then scale up the effort. As mentioned earlier, not all marketing efforts will produce positive results for you. So, you must keep testing until you find one that is working for you. Tweak the strategy to fit your business. Ultimately, you want to be able to increase your ROI (return of investment). Once you have everything in place, scale up your effort. By this juncture in your business, you would know how every dollar invested in marketing your business would generate more dollars back. Of course, you need to be realistic when you are doing the testing and tweaking. This process does not happen overnight. Sometimes, through testing and tweaking, you may realise that the product is not good enough or your ideal customer does not exist. Therefore, we would also advise you to do your due diligence when you are working through the steps. The above are my simple 5 steps to finding real success online. I hope you have enjoyed it as much as I have enjoyed creating it for you. Once you are able to successfully implement the steps, you can just do it again and again for different markets. Each time, you can proceed at a faster pace, since you already knew the process and what to look out for. I hope you would implement the steps I shared, and I look forward to hearing your success stories. For anyone who is new to the internet business, internet business jargon or terminology can be confusing and complicated at first. It is just like when you first started learning about simple Mathematics about adding and subtracting and then, there is algebra. It sounds “foreign” to you because it is very new to you. 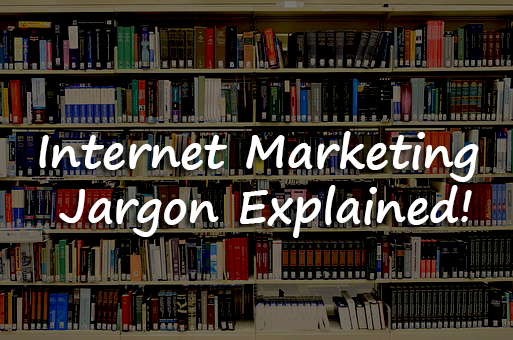 Don’t worry, most of the terms are pretty straight forward and I’ve come up with a list of commonly used internet business jargon. Please note that the list is non-exhaustive but comprehensive enough for you. PS: This is not an English dictionary but just a guide which I hope can help you to understand the internet business industry better. The part of the page that you can see without scrolling down. Adsense is a popular Google Service that allows users to earn. It works in a way that when a visitor clicks an Adsense advertisement on your website, you earn. Google advertising platform that allows user to advertise their website. One of the best business models in the internet marketing industry. You promote other person’s products and if you close a sale, you earn commission. The marketer is thus known as affiliate. Learn how you can be a Super Affiliate here. 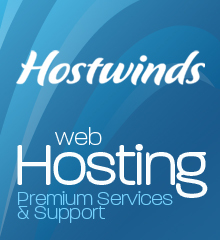 A website that is great influence over the niche and is popular among customers. Picture advertisements found on websites. They can be found anywhere on the websites and after the visitors click on the ads, either another window opens or they are redirected to another page. Links form other website pointing to your website. Backinks are important part of improving SEO. An online journal. Blog has evolved over the years and it has become more than just for personal use and more companies are using blog to share information about their product and services. Percentage of people that are not receiving your emails due to full mailbox or some other reasons. Words that encourage users to do a take a specific action. A program detecting spam or bot by asking visitors to type in the characters they see in an image or solve a simple math problem. The percentage of visitors who visited the website and clicked on the link. Showing different content to search engines and humans. Creating and distributing content to bring traffic to your website. The percentage of visitors that came through the website and decide to make a purchase. The art of writing to entice visitors to purchase or do a perform a specific action. An online advertising cost structure where you pay per an agreed upon actionable event, such as a lead, registration, or sale. How much advertising fee paid for each visitor who click on the desired link. How much advertising fee paid for a certain number times that your advertising appeared. A backlink that can be followed by search engine spiders/crawlers/bots. Selling a lower cost product or service after the prospect did not buy the initial product or service. A digital version of a book that is usually in PDF format. Electronic commerce is the buying or selling of products/services on the internet. A database of email addresses that are collected from visitors subscribing to your content or customers that purchase your product. 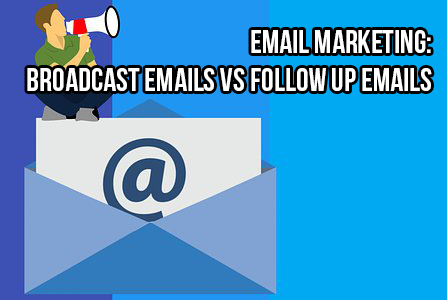 Direct marketing via the use of email! A pop up or redirect when the user tries to leave the website. This is the first product that is offered to the visitor for purchase. An online community in which a particular interest or topic is discussed. To contribute a blog post on other people blog or website. Commonly used in social media platform to categorize a group. Using the internet to market products or services. A highly search term or word in the search engine. The first page that the visitor sees when he lands onto your website. The description of a webpage that appears in search engine results pages. A specific market or customer segmentation. Read this post for more information on niche. Similar to internet marketing and marketing online. Visitor giving the email address in exchange for subscribing to your content such newsletter or a freebie. Both are advertising models as well as form of businesses for earning. Users are paid or paid only when a certain action by the visitor is done. For example, signing up for a free trial. An advertising model in which the users pay an amount for each click generated. A software that works with WordPress platform in providing some additional functionality. Another “window” appearing after the initial website loads. A license to reuse, rename, remodel the digital products for personal use or sale. Direct the visitor to another website. Did you come across an advertisement that seems to follow you on the internet after you first see and click on the ad? That is the power of retargeting and displaying the same or similar ad to the visitor again. Sales funnel describes the whole progress of your business, starting from the visitor landing onto your website and then becoming your subscribers and subsequently, becoming your customer. 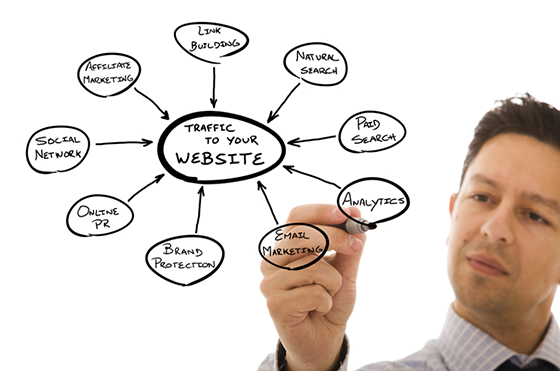 Optimizing your website to achieve higher rankings in the search engine results. Facebook, Instagram, Twitter and many more! Testing different website with different variables such as headlines or images to determine which combination yields the best results. A type of landing page whose main objective is to capture email address or other relevant details of the visitor. A visitor who opt-in to your newsletter or squeeze page. The visitors who visit your website. The address of a webpage on the internet. Selling another complimentary product or service of a higher value to a customer who has already purchase the front-end offer. An online web class that can be attended just by using the internet. A content management system for managing website. In order to start an internet business, you’ll need to pick a specific market to go into. The specific market that you are interested in is the niche. A niche is small but profitable segment of a market suitable for focused attention by a marketer. 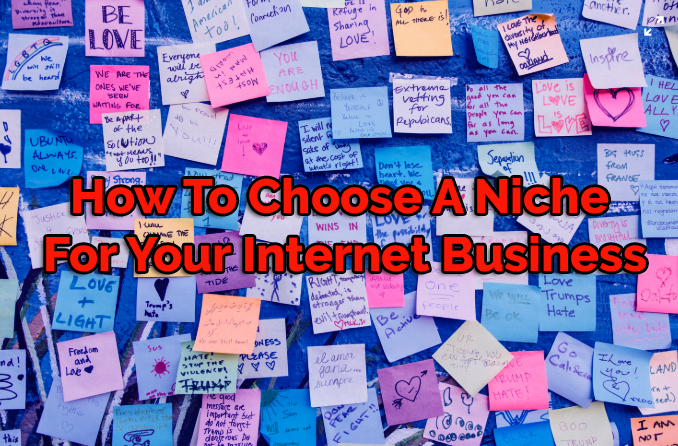 Deciding on the niche is essential for both internet and physical businesses. For example, if you want do an offline business; what type of business do you want to engage in? If you wish to start a consultancy firm, what is the type of consultancy do you intend to do? Each is a specific topic that your business is focusing on. And, in the internet marketing industry, we usually refer to this specific market or topic as niche. Same for starting your own internet business, you’ve to select a specific niche to focus on. Let’s discuss on how to select a niche. There are 2 ways to do this. Turn your passion or hobby and start with them. By choosing something that you already like, it is easier to start the business as you already have the knowledge in the topic itself. Maybe you are an avid golfer and you have been playing golf for years and know a thing or two about swinging the golf club. You may want to share your knowledge about having the perfect swing and in the process promote golf equipment or golf training course or even create your own digital product to teach other to how swing the golf club. Following your passion allows you to be more enthusiastic when you are starting the business. However, you’ll need to take note and accept that your passion might not be as profitable as you thought to be at first. It is easy for you to start as you love the topic but you also need to be realistic and practical at the same time. After all, your aim is to make money from the business. If eventually, your passion is actually not making profits for you, it does not mean that you have failed. It just means that you might need to market your business from another angle. Unless, your hobby or niche is so “unpopular” or there is no related service or products that you can sell, then starting the internet business based on your passion should be fine. Another way to choose a niche for your internet business is to select the specific topic from the evergreen markets. Evergreen markets refer to markets that consumers are always buying the products or services and at the same time, there are always new products or services introduced. The above 3 markets are the biggest and there are always have something new for the consumers. If you look closely into these markets, you’ll find yourselves also as a consumer in at least one of them. Anyone would yearn for a better health, more money and better relationship. But, the niche is not in health, wealth or relationship. Instead, you should select the specific topic to focus on. All 3 of them are very, very HUGE markets. As for making money to create wealth, there are so many ways to make money. It does not restrict to just making money online. It can also be about physical offline business. At the start of this post, I started with a consultancy business example. The niche can be about providing human resources consultancy to construction companies. Now, you can tell that it is a very specific market, provide human resources consultancy to construction companies, and not F&B businesses or Accountancy firms. The niche has to be specific. Even within ecommerce, you’ll also need to go in-depth to what you really want to focus on. Is it going to be pure Arbitrage business or Dropshipping? What kind of products do you want to sell? In short, you need to be very specific about your niche. You can go as specific as reducing flapping arms size for women above 40 years old in the health –weight loss market. Before, you decide on what niche to target, you should also do your due diligence to research about it. I had written a separate article on how you can research your market using 3 simple tools earlier. Please read it if you have not. So assuming that you already done your research and decided on your niche. The next step is to build a website around this niche and start to do your promotion. Unfortunately, what if after months of consistent effort, there is still no results? You may ask me, did I chose wrongly or should I change the niche? Now, if you are really working hard to promote your websites consistently, not just once or twice or whenever you feel like it, then you might want to relook at your marketing efforts. Unless you have chosen a niche that is based on trend, and the trend had past, then it might be wise to move on. I hope you have benefited from this post and do like and share it if you find it useful! Thank you! Some of the most successful news sites or blog sites are highly targeted websites, aiming for a specific type of market. You can learn how to build a targeted news or blog site in 4 steps and this post will tell you how to do it. Why do you want to create a specific website? This is because specific sites are more likely to attract search engine traffic, more likely to get passed along within a community and also attract higher-paying advertisers than more generic websites. 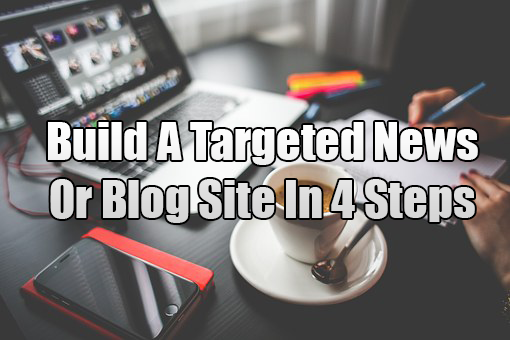 Here’s how to start a targeted news or blog site in 4 steps. The more specific you can get, the better. You’ll need to go deep into the market and offer an attractive solution to your potential customer. For example, online business marketing software site targeting specifically on marketing software for online business. You can also target specific locations. For example, “New York Restaurant Blog” has a very good chance of making its way around the NY foodie network. It’s crucial if you’re blogging about a specific interest that you stay on top of the industry. There are a few ways to do this. The first is to subscribe to RSS feeds from various blogs in your industry. Whenever a piece of news hits one of these blogs, you should be the first to know. You can also use a news and website aggregator to stay on top of non-blog websites. Let your personality out and let your thoughts be known. In many markets, what’s being talked about has been beaten to death so many times that people choose blogs based more on the personality than the news they carry. Of course, you still have to provide Grade A content. This often comes in the form of your own personal insights rather than just facts. One great example is Gary Vaynerchuk. His personality is so interesting and so insulting that people can’t help but read the entire website or watch his videos – and by that time, they feel like they have to buy. Make your website search engine friendly. Start building an email list. Find other people in your industry that you can partner with. Add Google AdSense and ShareASale to start monetizing your site to start with; but don’t underestimate what others would be willing to pay for an ad placement on a prominent site in a specific industry. Add Clickbank and Amazon products banners onto your website. Both programs are free to apply to get affiliate links. Search for affiliate products in your own market and promote them. For example, if you own a health website, you might be getting $5 CPM from Market Health. But an advertiser who sees your site as good branding to be associated with might be willing to pay as much as $15 CPM – sometimes more. Starting a targeted news or blog site is a great way to build a solid reputation in an industry. You can make more money than a broader website, with less work to boot.